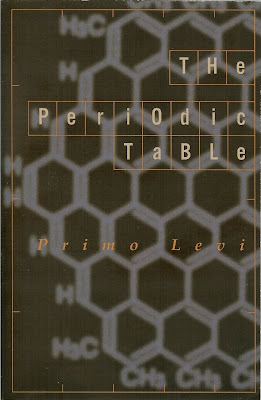 The Periodic Table (1975) is a collection of fascinating stories by the Italian chemist and novelist Primo Levi (1919 – 1987). 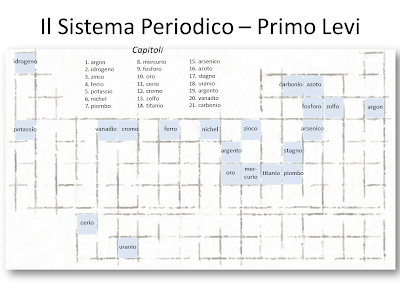 The collection, titled in Italian as Il sistema periodico, was translated into English in 1985. Each of the 21 chapters is based on an element that sometimes playing a figurative role in the story, but most often, playing a literal role. The majority of the stories are based on events in Levi’s life. In chapter 10, Gold, Levi is captured by the Fascists. In chapter 11, Cerium, Levi is in Auschwitz. How the elements gold and cerium figure into the stories is Levi’s narrative magic. Another important work by Levi is Se questo è un uomo (If This is a Man) which describes his 11 months in the Auschwitz and more generally the human condition in all its extremes. 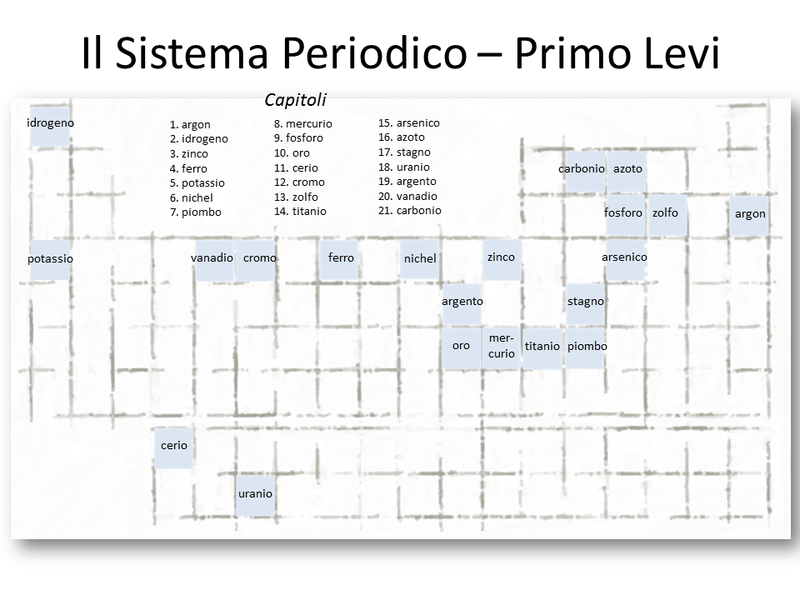 The periodic table is the organizional scheme of how we understand elements and their relationships. 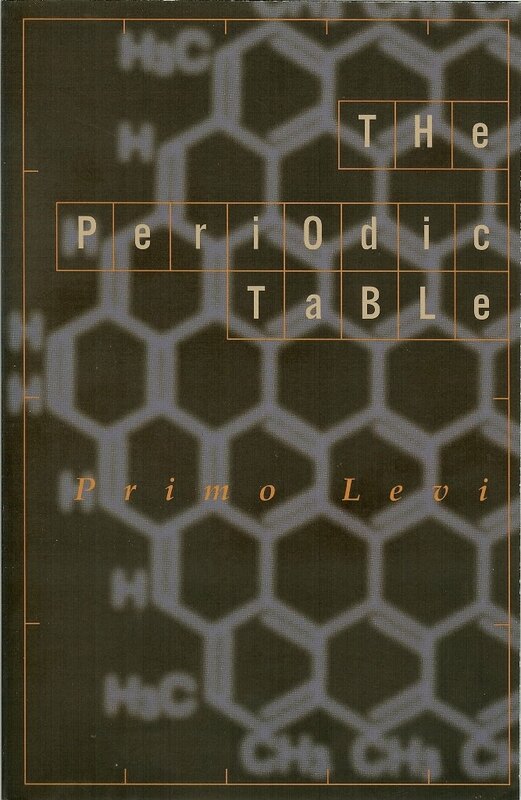 It’s clever and in hindsight it makes sense, that Levi, a chemist, chose this title of the collection as such and structured each story around an element. Throughout the book it’s clear that Levi is a probing mind, a detective in matters of life and science, and in a battle with nature to unlock its secrets. To Levi, “incomprehensible matter” must be examined, writing that “[w]e must never feel disarmed: nature is immense and complex, but it is not impermeable to the intelligence; we must circle around it, pierce and probe it, look for the opening or make it.” There are many passages in the book where battle metaphors are used. not want them, forbids them, and that’s why you’re not a Fascist; it wants everybody to be the same, and you are not. The collection ends with the story that seems to have been the nucleus for Levi’s writing career. He alludes that that story was “dreamed in an hour and place when my life was not worth much” – probably while imprisoned. It is the story of a carbon atom and this story is perhaps the most beloved of the 21 stories. This story appeared in The Oxford Book of Modern Science Writing and is what led me originally to The Periodic Table.